Just four colors. And yet, it works so well. Man, the Game Boy sure was great, huh? A little handheld device that you allowed you to take that sweet Nintendo goodness on the go. Whether it was a long car ride, a layover at the airport, a slow day at school, or even a doctor’s waiting room, you could just pull out the Game Boy and all was right with your world. In fact, the only downside most anyone could find with it was the colors…y’know, ’cause there weren’t really any. And as sweet as Game Boy was, it was hard not to feel a tinge of jealousy to look at that other kid with a Game Gear (well, assuming you could see him through the wall of people he needed to stand in front of him so he could see the screen, because Sega didn’t understand concepts like contrast, but I digress). Well, skip ahead to 1994, when Nintendo heeded the cries and wheeled out Super Game Boy, a device that plugged into your Super Nintendo and allowed you to play your Game Boy games in rich, vibrant color (kinda). Again, I’m not trying to get technical here, mostly because you don’t want that and because I’d do a crappy job explaining it, but basically, Super Game Boy translated the four shades of gray-green you’d get with a regular Game Boy display into different colors, so essentially, the light green sky would be replaced by a light blue sky, and the darker green ground could now be brown or red. You only got four colors at a time, but thanks to the functional simplicity of Game Boy graphics, four colors made a world of difference. On the upside, you weren’t stuck with the same four colors all the time. Pressing L and R together brought up a menu of various customization options: there were a litany of premade color palettes available, as well as different borders to select from (as the game screen itself was letterboxed), not to mention a feature that allowed you to create your own color scheme, choosing from a range of color, saturation, and brightness options. In a cute little touch, if you paused a game long enough, the scenes in the borders would have some action, the house in the country scene would light up and night would fall, and the kitties in the quilt pattern would get up and move around. Granted, that may not be the most thrilling thing in the world, but it’s such a Nintendo thing to do for them to put that kind of Easter Egg in just because. Even better, if you cobbled together a color scheme you really liked for a certain game, a code at the top of the screen could be written down and entered later to bring that exact scheme back without having to tinker with all the tools every time. There was even a graffiti feature of sorts that allowed you to create your own border, or, if you were like me, to mess around and handicap yourself by covering up half of the screen. A Donkey Kong cabinet even Steve Wiebe would approve of! It didn’t stop there, either. Some games, like Metroid II: Return of Samus, had their own special designs built in, automatically selecting a palette instead of the default scheme. 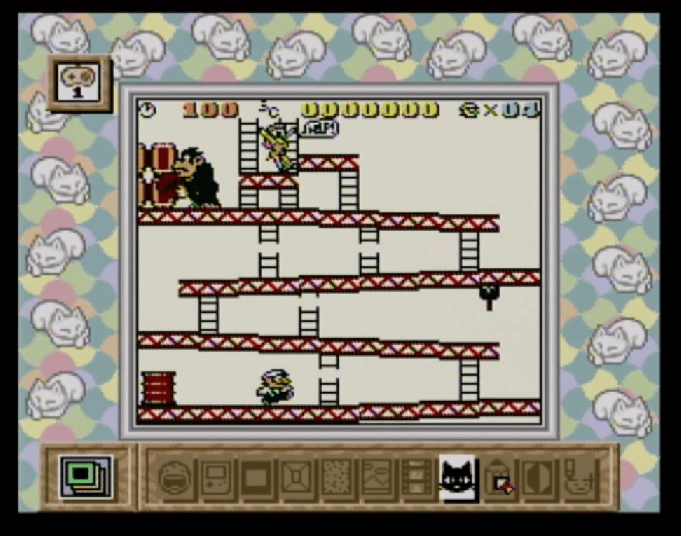 In fact, some games took this a bit further, for example, if you played Pokemon Red or Blue on Super Game Boy, not only did you get a special border, the game would dynamically shift colors as you moved from place to place, so if you walking into Cerulean City, the screen would change to a, well, cerulean shade of blue, and entering Lavender Town would change it to its pale purple namesake. Very cool. 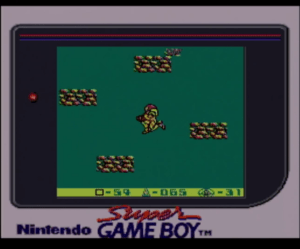 At about the time of Super Game Boy’s release, also, those of us who were Nintendo Power subscribers received a magazine that featured a number of Game Boy games and different suggestions for color combinations; Metroid II had pictures showing it in a less alien, more metallic light, and Tennis showed ways to make the court appear to be a clay court, or a hard court. Again, it’s hard to explain just how much adding four colors to a game and occasionally switching up those four colors REALLY extended the mileage of a lot of games, or in some cases, made them play like entirely new games altogether; the Game Boy version of Space Invaders, when plugged into Super Game Boy, unlocked a number of variants designed to resemble the original arcade versions, including the tabletop version, just by mimicking the “colored cellophane over a normally black and white screen” effect. Not only that, but certain games were programmed to unlock a two-player mode, without having to use the Game Link cable, or in some cases, unlocking a multiplayer mode that wasn’t even available with the Game Link cable. 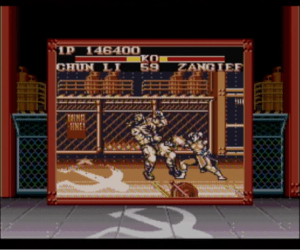 Super Game Boy: Making the Game Boy version of Street Fighter II slightly more palatable! Obviously, there were some substantial drawbacks with Super Game Boy, chief amongst which being, well, having to plug your games into the Super Nintendo defeats the entire purpose of the Game Boy, its portability, and if you had the Super Nintendo version of a game as well as its Game Boy counterpart, there’s probably not much reason not to just pop in the Super Nintendo version from the jump. Second, the shelf life of Super Game Boy was shortened considerably by the development of Game Boy Color, which pumped out full color palettes from the beginning, and to make matters worse, games developed specifically for Game Boy Color were not backwards-compatible with Super Game Boy, as I learned after getting a copy of Mario Golf for GBC that did not work in my Super Game Boy. Third, while, as I said, four colors made a pretty big difference for the most part, it did kind of leave you wanting more. Whether it was a technological issue or it was just easier to turn a few shades of green into four other colors, I don’t know, but it could still be disappointing at times. I got a lot of years out of Super Game Boy in my youth, and it was definitely a solid investment of my parents’ money at the time. In hindsight, it’s still amazing to me how injecting just that little splash of color instead of the usual pea soup greens of the Game Boy gave a new lease on life to my Game Boy collection, and it was always cool to pop in a classic like Metroid II or Link’s Awakening and play it on the big screens those games so richly deserved. At the time, I would have definitely recommended getting one if you had a pretty deep Game Boy library, and even today, I think it’s an interesting concept to look back on, even if it did kinda undermine the entire purpose of the Game Boy in general. Altogether, though, I had a lot of fun thanks to Super Game Boy, and I have to appreciate that. Injects a new shelf life to a lot of classic Game Boy games, plenty of neat features and options. 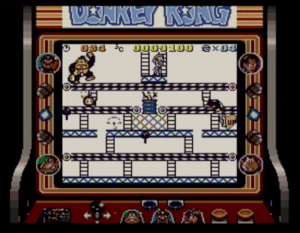 Not quite full-color, and not a lot of games actually utilize the Super Game Boy’s capability. Nice! I never had one but a friend of mine did…was always impressed by it. Might be worth another look, I think our local retro shop has one. See, these are the kind of comments that confirm we’re doing something right; that you remember something like this and want to go back and take another look at it. I had one of these things back in the day. I remember thinking it would revitalize my interest in my own Game Boy library, but it definitely did not. Mostly because I’m pretty sure I had a crap library. Almost all came from a local pawn shop and was based on 1) what was cheapest or 2) what “looked cool” (which never WAS cool). Always used the Game Boy border. The theater one was blah. And agree that the ability to set your own group of 4 colors was critical.